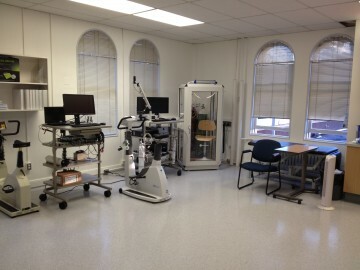 The primary aim of the Cardiopulmonary Exercise Physiology Laboratory is to better understand the physiological factors that limit exercise tolerance across the spectrum of health and chronic lung disease. 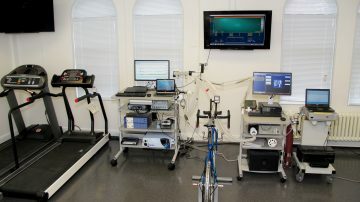 The lab uses a number of novel measurement techniques to simultaneously assess the respiratory, cardiovascular, muscular and neuro-physiological responses to exercise. 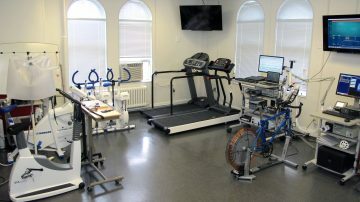 The long term goal of this research program is to develop more effective rehabilitation interventions to improve exercise performance and quality of life for those suffering from chronic lung diseases.